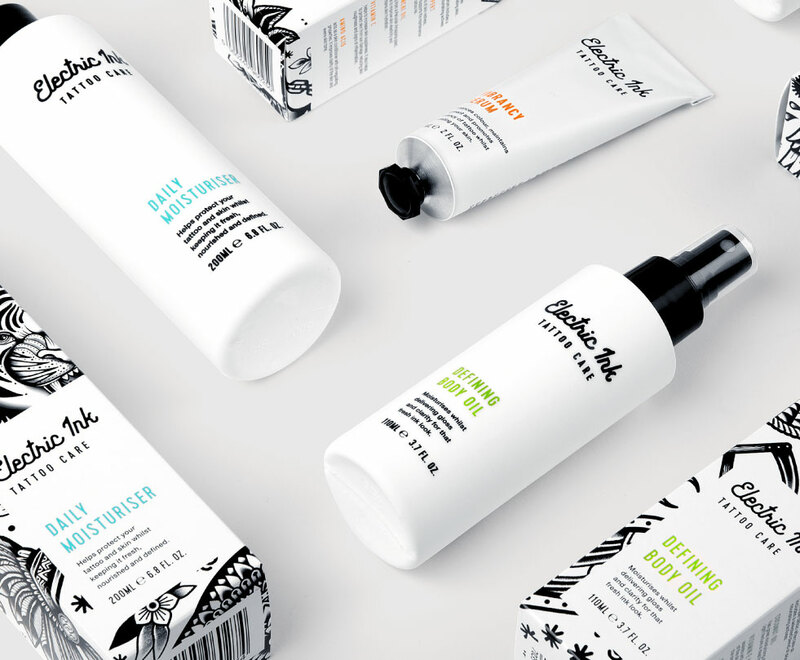 Tattoos will always have subculture appeal, and with an estimated 1 in 3 people proud owners of at least one tattoo, Electric Ink couldn’t have picked a better time to launch. 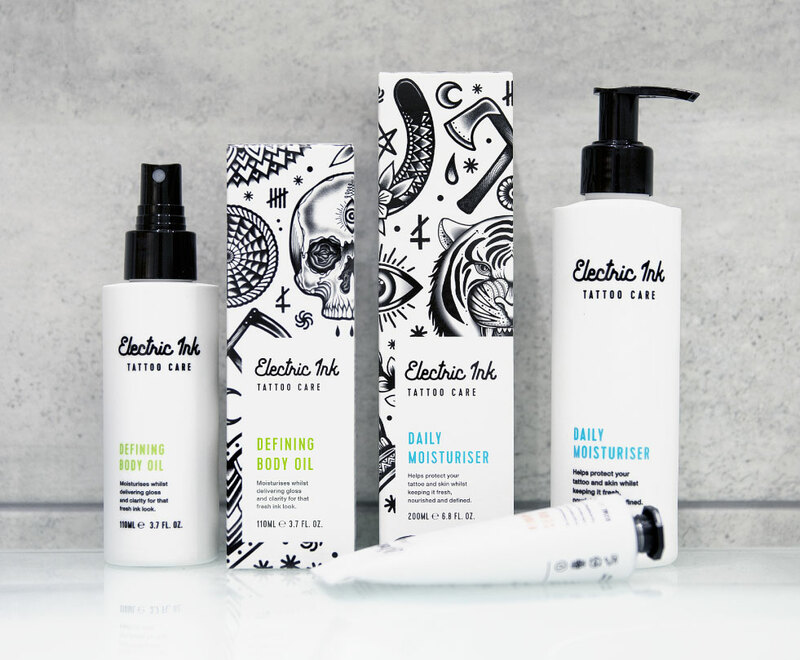 Helps to protect tattoos from fading, whilst keeping them fresh, nourished and defined. 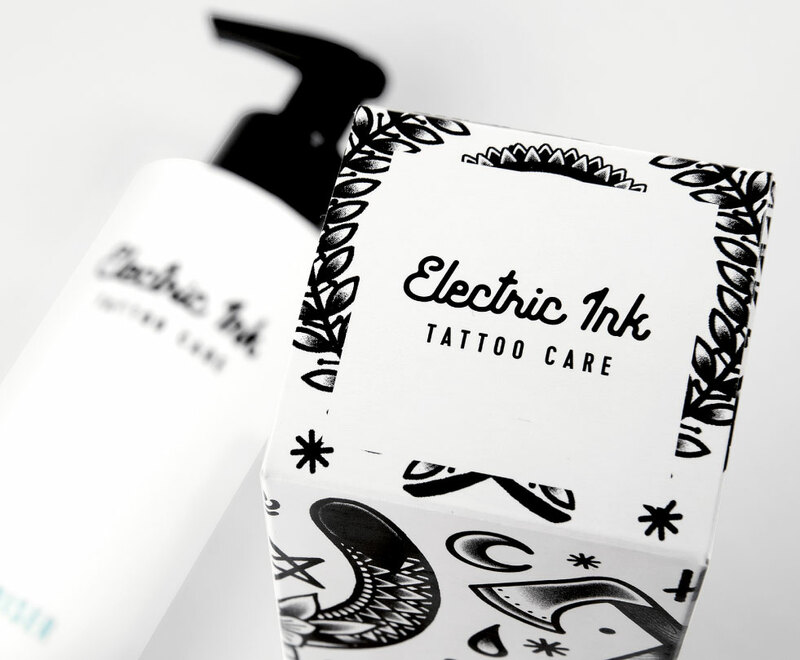 Moisturises sleeves and other tattooed areas whilst delivering gloss and clarity for that freshly inked look. Enhances colour, maintains pigment and promotes vibrancy of tattoo whilst hydrating your skin.